Friday January 11, at 4pm, Central Okanagan Search and Rescue was called out for their second task of the year. 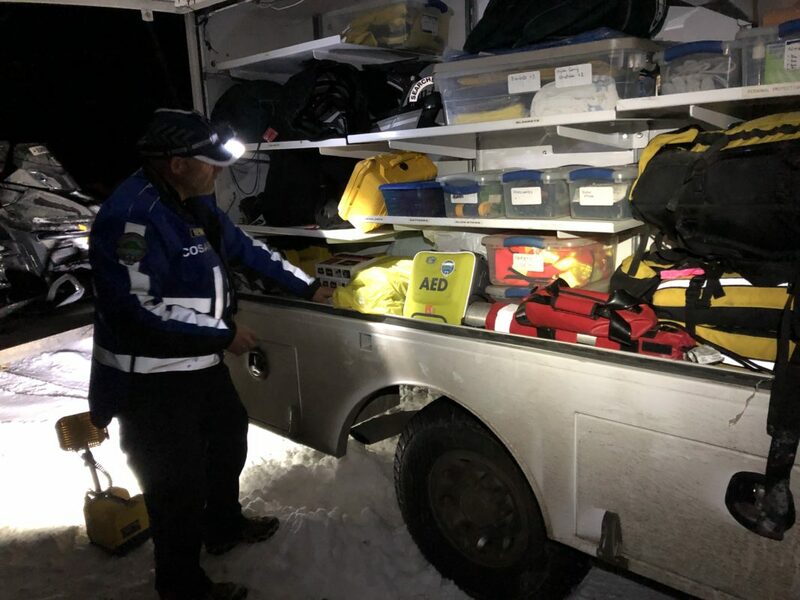 The team was called out to locate two snowboarders that were lost on the backside of Big White. The subjects had managed to get a call out to Big White Ski Patrol along with their coordinates. Ski Patrol told the subjects to stay where they were and that search and rescue would be activated. COSAR responded with a total of 13 members, 3 of which were convergent volunteers from Kelowna Snowmobile Club. 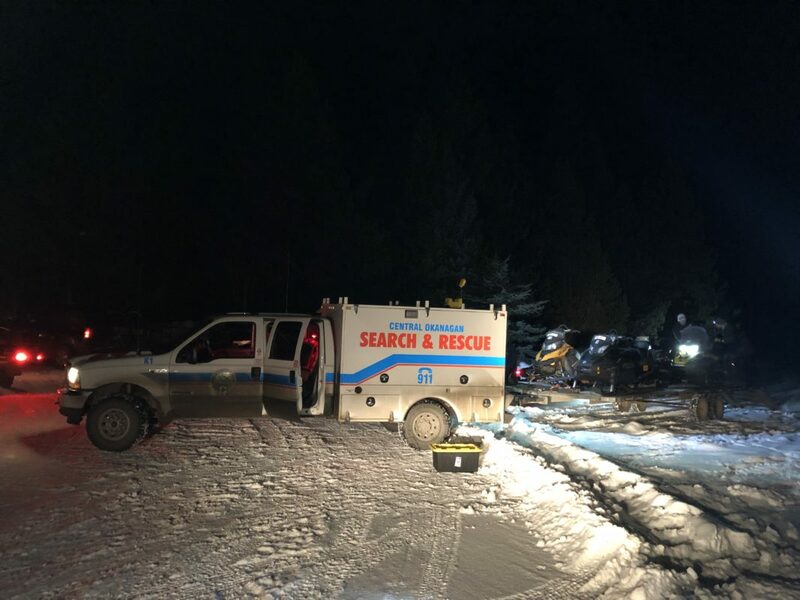 A 7-person team was sent in on snowmobiles to the coordinates provided. 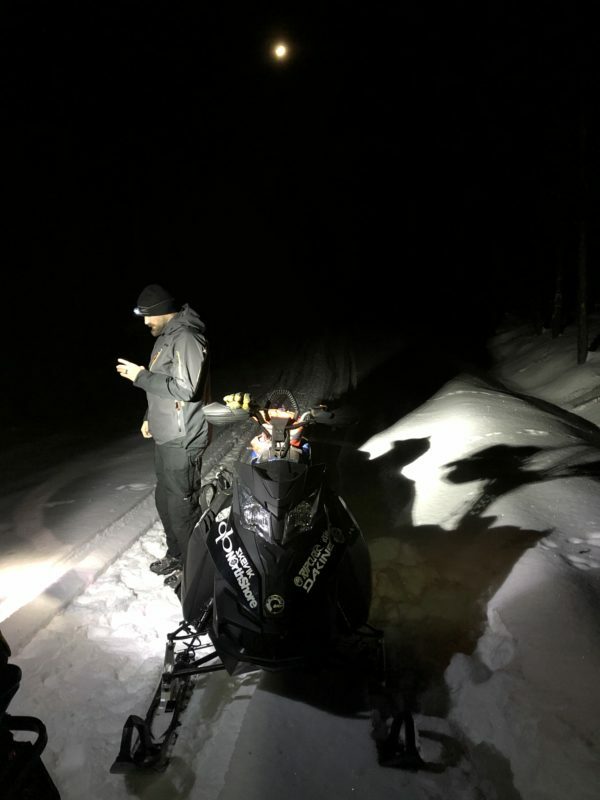 The team was able to get within half a kilometer of the subjects on snowmobile and then a smaller team went in the rest of the way on snowshoes through deep snow and thick forest. Contact was made with the subjects just before midnight. They had managed to make a small fire and stay fairly warm despite the sub-zero temperature. The team then made their way back to the staging area where the subjects were evaluated by paramedics and then returned to their vehicle. Even though the subjects found themselves in a tough situation, they did a lot of things right. First, as soon as they determined that they were lost, they immediately got a call out to Ski Patrol. Second, instead of trying to self-rescue, they remained where they were. Finally, they were prepared enough to get a fire going and stay warm until rescuers could arrive. 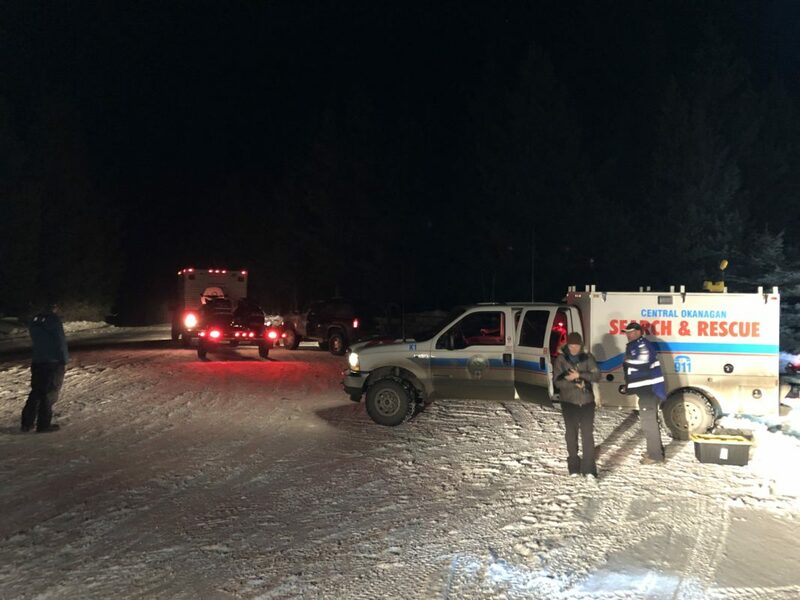 Central Okanagan Search and Rescue would like to thank Big White Ski Patrol for establishing initial cell phone communication with the subjects, obtaining coordinates and advising them to stay put. 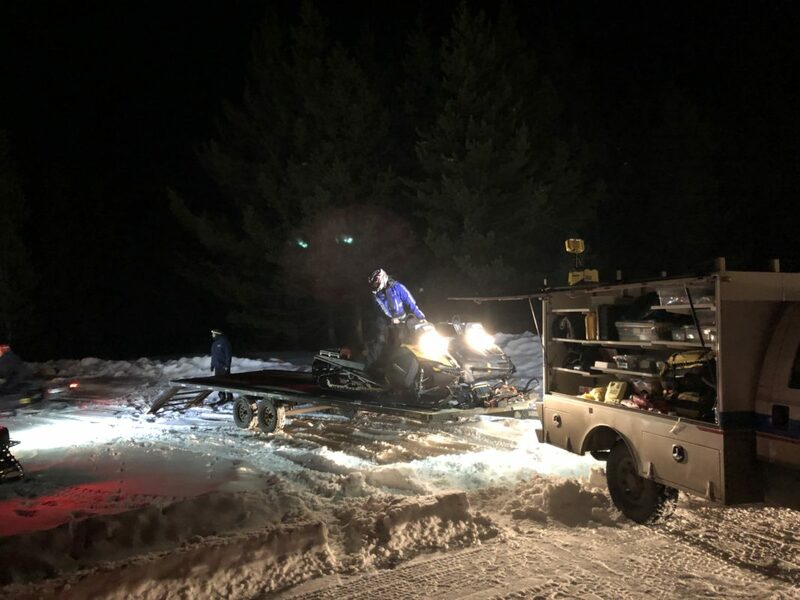 As well, COSAR would also like to thank the convergent volunteers from Kelowna Snowmobile Club for their help on this task.